These little guys are two weeks old tomorrow, which puts them about 10-11 weeks away from slaughter harvest. They’re fluffy and cute and doing quite well. We went with all roosters because until the birds reach sexual maturity the meat is effectively the same between hens and roosters. Obviously they aren’t as popular as their egg laying counterparts so the price per bird is incredibly cheap when purchased in bulk. They survived the Epic Rainstorm of 2018 and are well on their way to rapid growth. They’ll stay here for a few more weeks until they “feather out” and can regulate their own body temperature better. After that, they’re off to the pasture in a couple of home made chicken tractors. 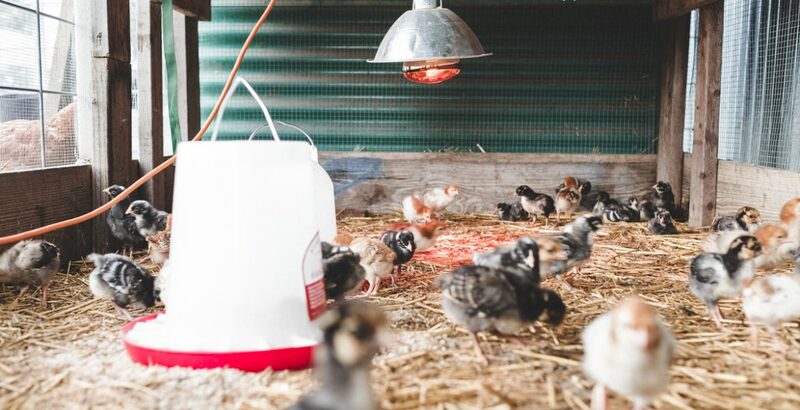 They’re currently on a medicated feed to help keep them healthy at this early stage, but as they grow all medications will be removed and very little will be added to their grower rations aside from sunshine, water, and daily fresh grass. September 30, 2018 Post by Michael in chickens.